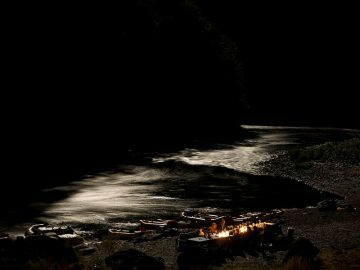 Enjoy dinner by candlelight on the banks of a wild river (complete with tables draped in linens) prepared by local chef Carrie Catterall of Ma Mosa’s in Grants Pass. Carrie’s menus feature farm-fresh, locally grown ingredients that highlight the Rogue River region. 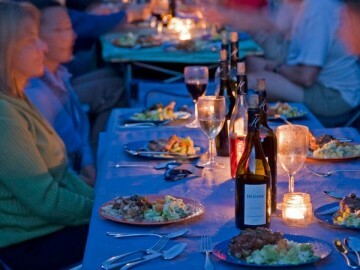 Choice Oregon, Washington and Idaho wines from the Browne Family Vineyards will be thoughtfully paired and presented with Chef Catterall’s culinary creations. 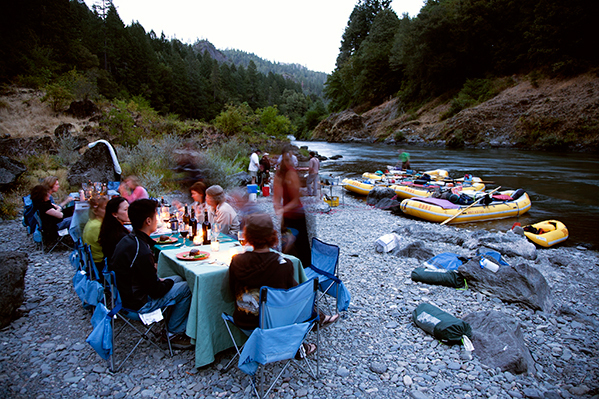 This Rogue River wine tasting adventure might just be the perfect Oregon rafting trip. 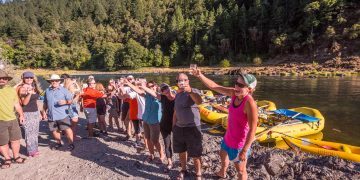 As it winds its way through one of the most beautiful pine-forested canyons in North America, this “Wild & Scenic” river shows us why it is such a popular rafting destination. 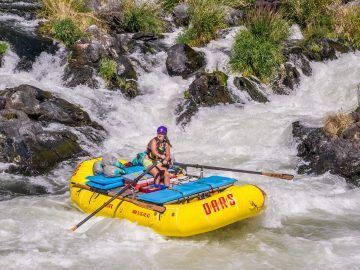 The generally moderate whitewater is ideal for all levels of experience from beginner to intermediate. The Rogue also features highlights such as the sheer rock walls and deep rolling currents of Mule Creek Canyon and rapids such as Blossom Bar and Rainie Falls are sure to inspire a generous dose of adrenaline. 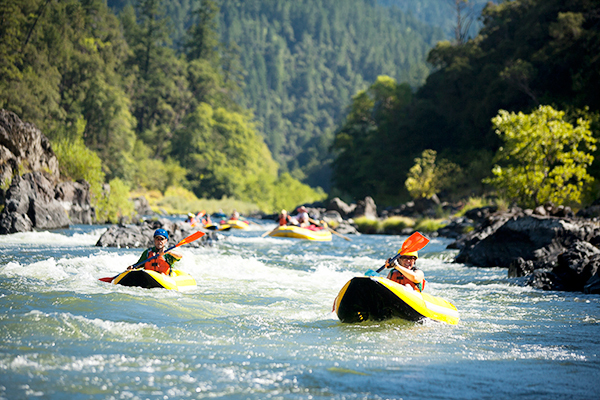 For the more adventurous, our inflatable kayaks provide an up-close and personal encounter with the rapids of the Rogue River. We will make camp on one of the many sandy beaches that line the river. Inside a tent or under the starry night sky, you’ll sleep soundly, serenaded by boisterous crickets and the rush of the passing river. Your trip will surely be witnessed, whether you know it or not, by the abundant wildlife living onshore. The most common sightings include deer and river otter, along with an occasional black bear, and the many bird species seen along the way including Great Blue Heron, Bald Eagle and Osprey.